Hull Royal Infirmary staff have created a boutique on a hospital ward to help patients out of their pyjamas and into their clothes. Hull University Teaching Hospitals NHS Trust is taking part in #EndPJParalysis to get patients wearing everyday clothes after studies showed keeping patients in pyjamas can reduce mobility and independence, increase the risk of falls and lengthen hospital stays. Now, Senior Sister Stephanie Hazell has created “Steph’s Boutique” on Ward 70 for patients with diabetes, endocrinology and general medical conditions at Hull Royal Infirmary. She said: “When I managed Ward 1, staff used to bring in unwanted old clothes so patients could go home in clothes rather than nightwear to allow them to maintain their dignity when they were discharged. “We used to get quite a few homeless people and we were able to give them new clothes when they left and I’ve just extended that idea. 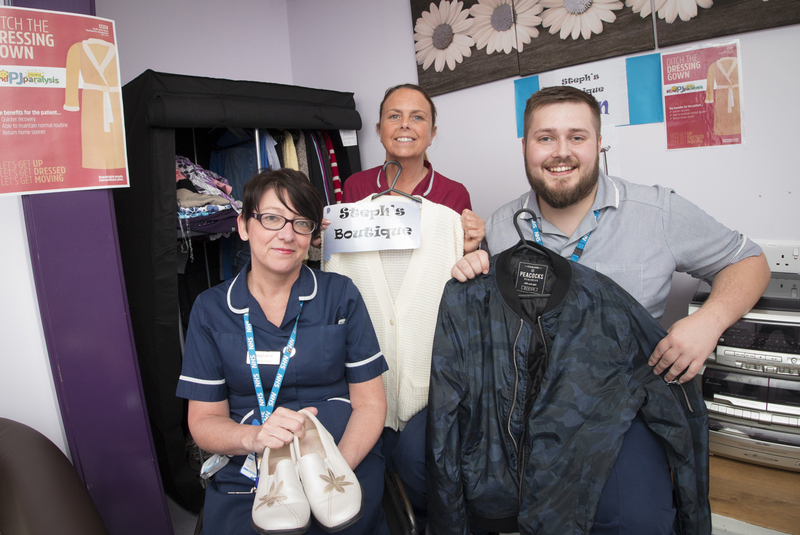 “Staff have been bringing in old clothes belonging to them or members of their family so patients can wear comfortable clothes once they’re feeling better and able to get out of bed. The 70-day initiative will run until June 26 as part of the NHS’s 70th anniversary celebrations. Staff at Hull Royal Infirmary and Castle Hill Hospital are using an app to record how many patients are wearing their own clothes in an attempt to reach a national target of one million patient bed days. On Ward 70, staff have been bringing in comfortable clothes such as jogging and tracksuit bottoms, sweatshirts, jumpers and long-sleeved tops for patients as part of their recovery. Families and care homes are being asked to take the clothes home for washing before returning with the patient’s own clothes. Stephanie Hazell said the ward would be grateful for donations of comfortable clothes suitable for older people.